You have heard about Muskoka, you have talked about Muskoka, and now you are ready to "Escape to Muskoka." Lakeview Escape delivers the classic, unforgettable Muskoka experience. 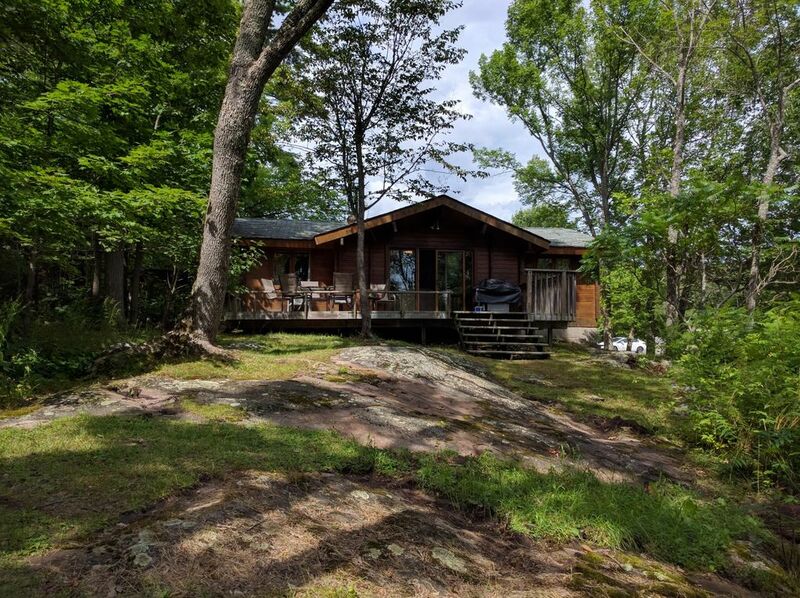 Located in the heart of Muskoka, on Lake Muskoka, with southwestern exposure and a gentle slope down to the water, the property offers up unforgettable views. One of Muskoka's unique cottage destinations, Lakeview offers weekly cottage rentals, all in a tranquil lake setting surrounded by nature on the 5 acre property. This is where you want to be, right in the heart of Muskoka on the lake that made Muskoka famous, Lake Muskoka. The Maple pine log cottage is the largest of our four cottages. It is nestled amongst the trees for true privacy. The cottage has the look and feel of a classic Muskoka cottage and is supplemented with modern conveniences. Large, private deck with outdoor furniture, and barbeque. The ideal Muskoka location, between Bracebridge and Port Carling. For weekly rentals, Check-in Saturday after 4:00pm and check-out the following Saturday by 10:30am. During the high season, only weekly rentals are available.